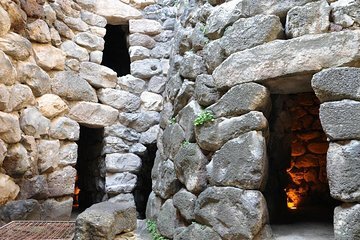 Gräva in i fascinerande historia och kultur på Sardinien med en halvdagstur på Barumini-UNESCO-sidan och Giara di Gesturi-vildhästarna. Se den förhistoriska Su Nuraxi fästningen på Barumini. Besök Giara-platån för att hitta den unika rasen av små hästar som strömmar vild. It was amazing to experience this site of ancient civilization thousands of years BC, to see giant stones cut and carried that are not from the region. The visit to the Giara Region gave us the opportunity to see more of the Sardinian countryside, olive and almond groves and then the trees with bark of cork and wild horses as well. Franco, our guide, is extremely knowledgeable and proud about his homeland. My daughter and I enjoyed the trip very much. Well worth it to see a bit more of Sardinia. A must do tour with a very helpful and knowledgeable guide. An amazing site-unbelievable know how from over 2000 years ago. We were met on time by an excellent guide. The group size was small just the two of us. Best of all we beat the tour buses. This was great since there were passages in the towers where you had to go single file. Our excursion on Sardinia with our driver/ guide Franco was fabulous! Franco went above and beyond our expectations passionately sharing his knowledge of his homeland. Barumini ruins were very interesting along with Franco's explanations. Seeing the wild horses up close, along with a bell-tinkling herd of goats nearby was magical. Franco showered us with Sardinian treats en route.....probably to prepare us for a thrilling ride through the Old Town of Cagliari. He took lots of pictures of us, the site, the horses etc which he emailed to us the same day. This adventure was the highlight of our trip. Remember to request Franco! Awesome tour with hunkie guide Franco. I learned so much about Sardgna. Thanks! 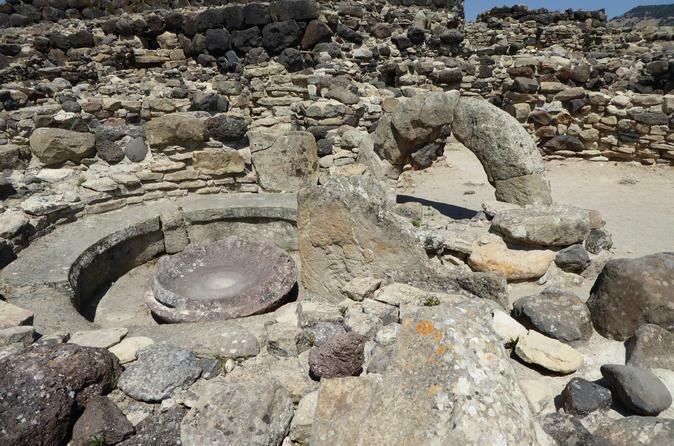 Franco is well versed in Sardinian history and led a great tour of the BArumini structure. He led us through it easily and avoided getting trapped by the large groups from tour buses. We got a good understanding of the ruins and its discovery, original use, and restoration. The Giara was not as successful as the horses moved out of the area, and the ranger would only allow us to explore on foot. Franco's tour of the old town in the van was memorable. He described the features while maneuvering the van through streets so narrow we thought only a wheel barrow could traverse them.